The Miracle For Mom Foundation would like to thank our sponsors and golfers for making the 2018 Miracle Open Celebrity Invitational a great success. The event raised over $48,000 which will help fund medical equipment for families in need and support research for a treatment and a cure for all debilitating brain diseases. Several celebrities joined the cause this year including NFL Super Bowl Champion Ed 'Too Tall' Jones, Former Atlanta Falcon Billy "White Shoes" Johnson, Atlanta Hawks legend Kevin Willis, former Atlanta Braves pitcher John Rocker and NFL Super Bowl Champion Larry Centers. 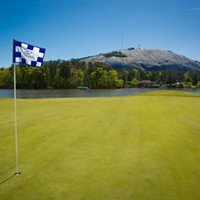 We hope you will join us next year at Stone Mountain Golf Club for this fun and fulfilling event!